“The Journey” is a workbook for individuals and support group facilitators that leads people through a healing process after losing a family member or friend to a violent death. Based on Ms Saindon's work with the Restorative Retelling Model as developed by Dr. Edward Rynearson. The workbook encourages readers to write about their experiences and guides their grieving and healing process. Seven anonymous writers answer the same questions based on their true stories. Nationally, there are about 50,000 violent deaths annually. It is estimated that from that number, there are an additional ten to twelve people connected to the victim who are significantly impacted by this loss. 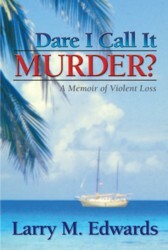 The book was formally released on September 25, 2014, to coincide with the National Day of Remembrance for Murder Victims. Connie Saindon's professional as well as personal experience have given her a unique perspective that few others have. Not only did she learn first-hand about criminal death, she learned that she is a Survivor in every sense of the word. However, she also realized that little was known about the impact of murder on the survivors or their needs. 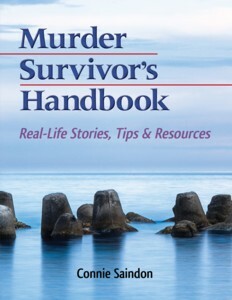 Murder Survivor's Handbook: Real-Life Stories, Tips & Resources fills that void for the Survivors, the co-victims of murder. This book provides information, resources, and strategies for learning to live with the aftermath of a homicide, including safety issues, dealing with the criminal justice system, addressing the news media, and coping with traumatic grief, while preserving the memory of a loved one. In the book, Survivor Writers describe their own experiences and, through their tips and suggestions, lend a helping hand to those who follow in their footsteps. In his award-winning book, Larry Edwards unmasks the emotional trauma of violent loss as he ferrets out new facts to get at the truth of how and why his parents were killed. Winner: Best Published Memoir, San Diego Book Awards, 2014. Pulitzer Prize nominee, 2014. &nbsp It’s the kind of book you can’t put down. You will live this story. Author: Edward K. Rynearson, MD. Contributing authors include: Figley, Shear, Lord, Saindon, Salloum, Neimeyer and many more. This book pulls together a definitive collection of work on the theory and practice of clinical, spiritual, and emotional support after the experience of violent death - counseling beyond the crisis. Over the past decade, there have been countless publications devoted to crisis response, crisis intervention and counseling, disaster mental health services, and support for victims of traumatic events, but almost none devoted to the response planning and community care for those individuals to continue to struggle with trauma and grief issues for more than a few months after a violent death. The chapters in this volume, written by national and international experts in the field, will provide the reader with the theoretical and clinical bases necessary for planning and implementing clinical and spiritual services to meet the needs of survivors/witnesses/family and community members of violent death. Violent death, whether by homicide, suicide, or accident, is particularly traumatic for the family and surrounding community of the deceased. Unlike natural dying from disease or old age, someone is responsible for a violent death; the family and community cannot rest until the dying is explained, until the perpetrator is identified and justice and order are reestablished. Often, a spectacled story of the death eclipses the memory of the person's life: family members remain mired in the retelling of the death and cannot fully reengage in their own living. Edward K. Rynearson presents a strategy for restorative retelling that is based upon his 30 years of clinical practice and research with family members after a violent death. He is a Clinical Professor of Psychiatry at the University of Washington and Medical Director of the Homicide Support Project at the Virginia Mason Medical Center in Seattle. His book is an important resource for family members and clinicians who seek to help them in the aftermath of this devastating and life-changing event. Dr. Rynearson started Separation and Loss Services' Homicide Support Project at the Virginia Mason Medical Center in 1972. Although his career has largely revolved around his role as a clinician, he has an active interest in the clinical understanding and research of the long-term effects of violent death on family members. He has conducted numerous national and international trainings describing clinical interventions for non-accommodation following violent death. His own resilience (a necessity for those who work with violence and death), is reinforced by his family that includes grandchildren and his early mornings on Puget Sound where, weather permitting, he sculls with seals and eagles. Always Fly Away is written in rhyming verse and tells the story from the perspective of a young bird named Stella. She leaves home to meet a friend by the creek, and there she is greeted by a kind-looking cat. The cat seems gentle and asks for Stella’s help, but Stella remembers the advice her mother gives her every time she goes out, "Stella remember, Keep your distance from strangers, stay alert, and when you don't know what to do Away Fly Away." This saves her life when the cat shows his true intentions as he tries to grab her, claws now extended. With this story Milena is able to bring Stella home safely—a wish she has for every child. Too many children lack the means to best protect themselves on a daily basis—not with tiny hands, but with simple survival techniques like running away from strangers. Our young readers will learn the importance of staying safe and can delve deeper into everyday safety with the accompanying study questions at the end of the book. Accidents, homicide and suicides are the leading causes of death among 15-24 year olds in the United States with the incidence of violent death a major concern in countries around the world. In an increasingly dangerous and uncertain society our children will likely encounter violent death before reaching adulthood, many during their impressionable and vulnerable adolescent years. Alison Salloum, LCSW is a Senior Clinical Advisor for Project LAST (Loss and Survival Team) of the Children's Bureau of New Orleans, a program that provides community-based services to children and families affected by violence. She is also the author of REACTIONS: a workbook to help young people who are experiencing trauma and grief. Ms Salloum is currently a doctoral student at Tulane University School of Social Work. Coping with Sorrow, Anger and Injustice After a Tragic Death gives hope and useful suggestions o survivors grieving for a loved one killed. Tears will come to your eyes while reading the comments of survivors, but their courageous recoveries from devastating tragedies will inspire you. Janice Harris Lord, MSW received her MSW degree from University of Texas at Arlington and is a licensed social worker and professional counselor. She is certified in Thanatology (CT) by the Association of Death Education and Counseling and is a member of the International Association of Traumatic Stress Studies and the American Association of Pastoral Counselors. Janice has worked in the crime victims' movement since 1976 and was National Director of Victim Services for Mothers Against Drunk Driving for 14 years. She is also author of Beyond Sympathy: What do Say and Do for Someone Suffering and Injury, Illness or Loss. Janice Harris Lord. . .
Social scientist, victim advocate, and the mother of a murder victim—Deborah Spungen is well acquainted with all facets of what she defines as “the blackest hell accompanied by a pain so intense that even breathing becomes an unendurable labor.” In Homicide: the Hidden Victims, Spungen illustrates just how and why family members become co-victims when a loved one is murdered, and she poignantly addresses the emotional, physical, spiritual and psychological effects of such traumatic events. This book tells the story of the murder of her daughter Nancy and her family's survival in the aftermath of Nancy's death. Murder: the unlawful killing of one human being by another, especially with malice aforethought is the definition in the American Heritage Dictionary of the English Language. The mother of a murdered child has a different definition: "The blackest hell accompanied by a pain so intense that even breathing becomes as unendurable labor." I know; I am the mother if a murdered child. Deborah Spungen, M.S.S., M.L.S.P., C.T.S.S. Founder of the Anti-Violence Partnership of Philadelphia and author of Homicide: The Hidden Victims. She has appeared on more than 400 television and radio shows throughout the United States, given numerous print interviews; and presented at conferences, lectures and workshops. She was the recipient of the Presidential Crime Victims Service Award as well as an honoree at the Philadelphia Women's Way" Woman Triumphant: Awards. Homicide, suicide, car crash, tragic accident: a victim’s father addresses the special needs of traumatic loss with insight and sensitivity. Scream at the sky is about five Texas murders, one man's murderous career and another man's sworn promise to deliver justice. Fourteen years after a killing spree that lasted thirteen months an investigator tied the cases together to discover one person responsible for the grief of five families. This book is about how John Little tracked down the killer and used the legal system to beat him at his own game of deception resulting in justice being served. Against Terrible Odds tells the life stories of children, who after experiencing the worst trauma that cruelty, indifference, and inhumanity could inflict, nevertheless grew into adults capable of leading productive lives. Along the way we begin to see the great capacity of human beings for overcoming and displacing life's scar tissue. Through reading these stories, we achieve a more balance understanding of the resilience of the human spirit and our won potential for thriving in spite of adversity. Saul Levine, M.D., is Chairman of the Department of Psychiatry and Director of the Institute of Behavioral Health at Children's Hospital, San Diego. He is Professor of Psychiatry and Director of the Division of Child and Adolescent Psychiatry at the University of California, San Diego. Heather Wood Ion is a writer, cultural anthropologist and bioethics. She is a consultant and frequent speaker on the subject of improved services in health care delivery systems. Saul, Levine, Heath. . .
Point of Fracture: Voices of Heinous Crime Survivors takes the reader into the hearts and experiences of real people whose lives have been changed forever by violent crime. Several years ago an extensive study was done on television violence. One finding was that most of the time harm done to victims of crime is not portrayed. Victimization, especially the murder of a family member, indeed creates a point of fracture in people's lives. Although healing is possible, their lives will be altered forever. This Foreword is by Vicki Sharp, Program Director of Pima Count Victim Witness office and vice president of National Organization of Victim Assistance (NOVA), 1998. 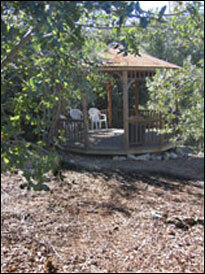 Authors: Interviews and editing by Karen Nystedt. Photography by Amy Zuckerman. Amy Zuckerman, Kar. . .
Pongo Publishing is a nonprofit that helps distressed youth express themselves in poetry and personal writing. Pongo volunteers go into homeless shelters, detention centers, and psychiatric hospitals to set up its writing projects. Many Pongo authors are victims of abuse and neglect and also survivors of violent loss. Pongo has found that creative writing is a wonderful way to articulate complicated feelings, commemorate people we've lost, and understand our own painful experiences of their passing. Pongo has collaborated with Dr. Edward Rynearson to incorporate writing therapy into therapy groups for traumatic grief, and Pongo has published several books of youth writing that were created in these grief groups. Is it possible for anyone to transcend such a comprehensively destructive, identity-altering occurrence? ("I thought, I'm going to run until I'm not angry anymore," expresses a woman who was assaulted.) Howard Zehr presents the portraits and the courageous stories of 39 victims of violent crime in Transcending: Reflections of Crime Victims. Many of these people were twice-wounded: once at the hands of an assailant; the second time by the courts, where there is no legal provision for a victim's participation. "My hope," says Zehr, "is that this book might hand down a rope to others who have experienced such tragedies and traumas, and that it might allow all who read it to live on the healing edge.